Our soil treatment facilities can treat a variety of materials and contaminants and our aim is to restore 95% of waste soils into recycled aggregate. 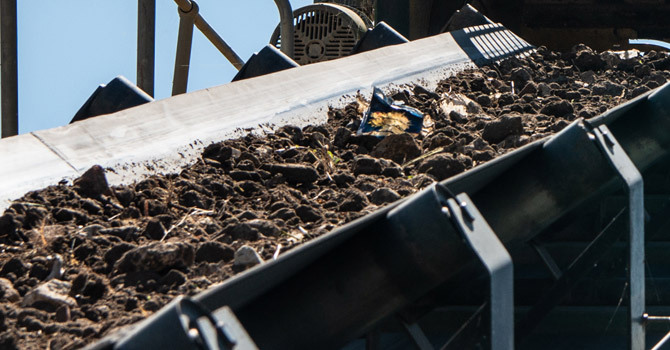 Our soil treatment facilities can treat a variety of material and contaminants - ensuring soil and aggregate is saved from landfill and turned into reusable material. Via our state of the art facility we provide sustainable, compliant, landfill tax free off-site treatment of a wide range of hazardous waste. This means you will make substantial savings on your hazardous waste disposal in a sustainable way. Sustainability is our core value and as part of our long-term sustainability strategy we aim to restore 95% of waste soils into recycled aggregate.